There are a lot of references to rocks in the Bible. And who is a rock besides our God? And why not? Whatever is happening in life, a rock gives you a solid place to stand, a firm place to be. And we need a place to stand. 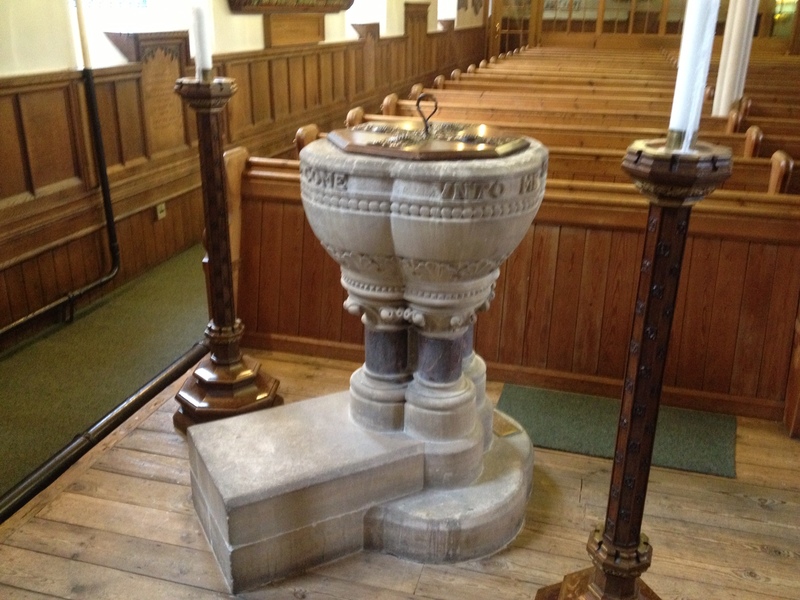 For me, baptism is one such place. I suppose that’s why that verse came to my mind that day. Baptism gives us a new identity, a firm identity as daughters and sons of the God who came for us in Jesus Christ, and who sent the Spirit among us to bring us new life. It is easy to feel lost today. Things are changing more rapidly than ever before. So much seems out of control. There are things that we can hold on to: family, friends, home. But so much is out of our hands. the way children in detention centres set up by Australia — by us! — are suffering chronic psychological trauma and even harming themselves. How do we find a place to stand? We stand on God, and the promise of God’s kingdom. We look to the rock from which we were hewn, the Rock of our salvation. … prayer was the glue that enabled my freedom, an inner freedom first and later the miracle of being released during a war in which the regime had no real incentive to free us. It didn’t make sense, but faith did. This family found hope through looking to the rock from which they were hewn, in order to find a firm place to stand. When the Jewish people heard those words of Isaiah about looking to the rock from which they were hewn, they were in captivity in Babylon. Perhaps by then they were hearing rumours that they might return to Jerusalem, that their time of captivity would soon be over. The rock from which they were hewn was the call of God to Moses to bring the people of Israel out of Egypt. The rock from which they were hewn was the Exodus through the surging waters of the Red Sea. The rock from which they were hewn was the gift of the Law at Mt Sinai. The rock from which they were hewn was the gift of freedom under God. This was the rock on which they stood. This was their firm ground. This was their identity: they were the people God delivered from Egypt! And as they looked to the rock from which they were hewn, they were able to draw hope from the God who delivers his people. If God could deliver the Israelites from Egypt, then God could also deliver them from Babylon. ‘Look to the rock from which you were hewn.’ It could sound like a message to go back to the past, stick to the traditions, don’t change anything. Yet things had changed for the people in exile; their appreciation of God had developed. No longer was the Lord the local god of a small tribe of people; the Lord was the God of all the earth, who would one day draw all people into the family of God. Looking to the rock from which we were hewn is not about keeping things the way they were, but it is about honouring the past as we live in the present and move into the future. So we look to the rock from which we were hewn to find out how to be faithful today. The Rock from which we were hewn is Jesus Christ. Junior Rock made this declaration in a place that needed to hear it: Caesarea Philippi. 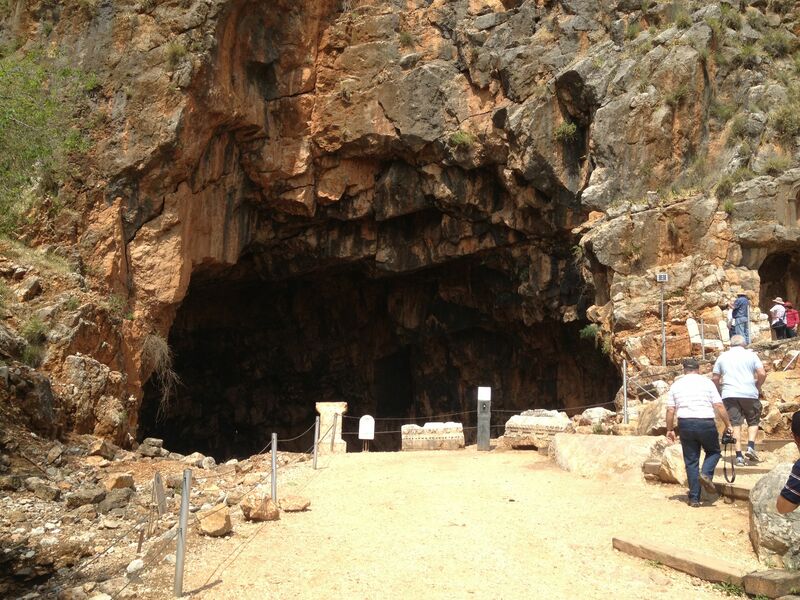 Caesarea Philippi is a pretty rocky place, and in Jesus’ day it was a pretty heathen place too. Its very name honoured the pagan powers of the Roman Empire, and it was a centre of worship of the god Pan. Jesus had brought them there for a reason. This cave in the rocks is ‘the Gates of Hades’. In the ancient world, this was one entry to the underworld, to Hades, the place of the dead. Around the rock wall down from this cave were statues of Pan and perhaps other gods. This would have been a rather frightening place to Galilean fisherfolk. Is this where Jesus asked his question and Peter made his declaration of faith? We don’t know. But Jesus was referring to this place when he said ‘the gates of Hades will not prevail against’ his church. It’s reasonable to think they could see the gates of Hades when Jesus spoke those words. So here, in Matthew’s version of the story, Jesus commends Junior Rock for getting it right, close to these rocks which had a totally pagan significance. Paragraph 11 of the Basis of Union reminds us that in every generation the church is called to ‘confess the Lord in fresh words and deeds’, proclaiming that Jesus is the Christ, the Son of the Living God, in front of all the powers that be which try to oppose God — every power that treats people as less than human beings made in God’s image. There have been many such powers in the past — Babylon, Rome — and there are many around today. Some of them are obvious, like ISIS. Others promise gold, glamour or success, and we can be fooled by them. Others claim to work for us, they claim to protect us, like the damaging incarceration of children in detention camps. The church looks the rock from which it was hewn. It says Jesus is the Son of the Living God to each of these powers. Jesus, who was put to death by the forces of law and order. Jesus, who will calls his followers to take up their cross and live as though the world has nothing to offer. Rocks. Rocks can be used for many purposes. We can throw them, we can make walls to keep others out with them, we can build shelters with them. They can give us firm ground on which to stand. God is our rock and our salvation. Faith is the rock that keeps us firm. Friends, look to this rock; it is the rock from which we were hewn. It is the rock of faith that proclaims Jesus to the powers that be; Jesus the Lord who still has the wounds in his hands and feet. To stand on this ground is to stand on solid rock. To proclaim release to the captives from this solid ground is to be faithful today, so that we may move into the future guided by the triune God who makes, redeems and sustains us.